Check out her TED Talks video!, Delphine texted me. As soon as I watched Tomoko’s incredible performance I knew I couldn’t pass up the opportunity for a shodo lesson. So on a clear Monday afternoon, I was happy to be in a taxi with Tomoko and her talented fashion designer friend Masaya Kushino (whose work will be shown at The Brooklyn Museum this Fall), on our way to her studio hidden in Kyoto’s mountains. 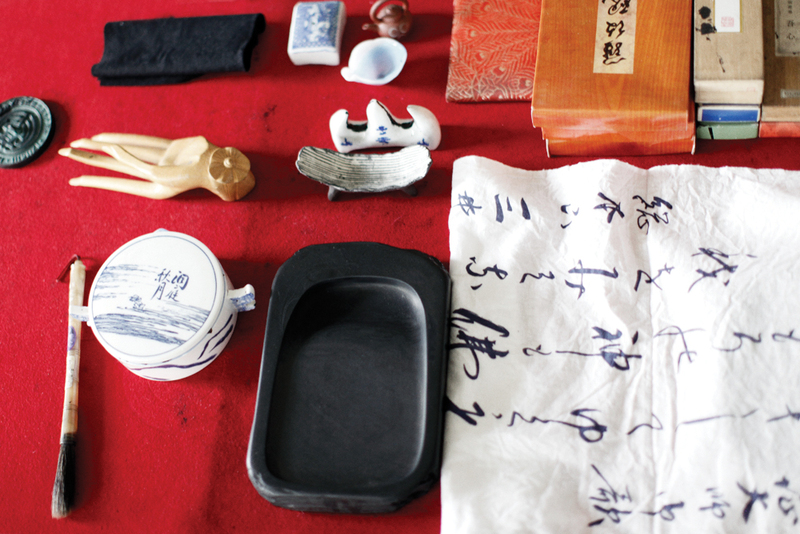 With beautiful handwriting scattered all around and impressive shodo brushes neatly lined up in rows, there’s a lived-in calm in Tomoko’s workspace. It’s the perfect setting for a lesson in patience, where the initial hand grinding of an inkstick on stone to make sumi ink can take up to an hour. The other materials to prepare are simple: a piece of washi paper with felt cloth underneath, a bunchin (paperweight) on top, a good brush. Then it’s like learning a very elegant dance, an act. Pretend you are a king writing, Tomoko instructs me as I make a royal but very clumsy attempt. Even with hands used to painting and handwriting I couldn’t make it past one character – eternal, taught to beginners since it uses the eight essential kanji strokes. Seeing Tomoko work was amazing, she makes it look so graceful and effortless. It’s not so much the physical act of putting brush to paper, but more about a mental exercise. She says all you have to do is just breathe. 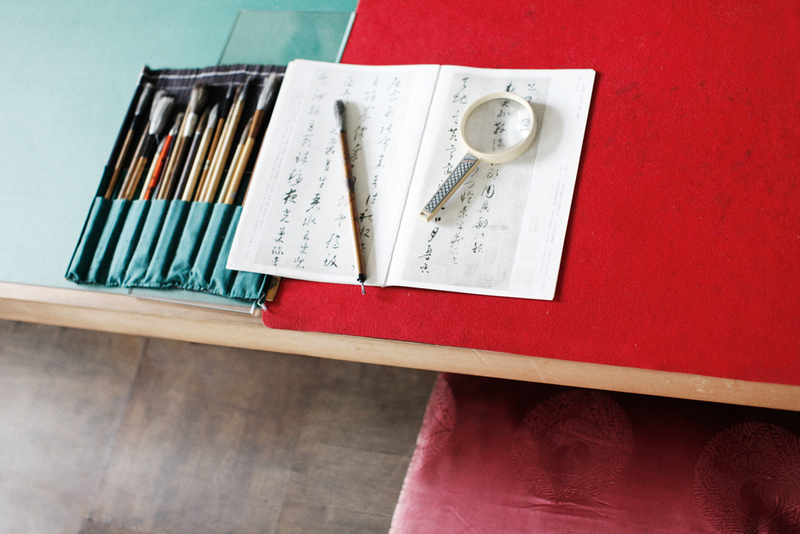 All photos taken by me at Tomoko's studio, Kyoto.